Smartline Protaras is well situated in Protaras, where it makes for easy access to all of the highlights in Protaras region of Cyprus. 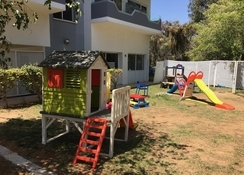 The hotel is just 63km from Larnaca International Airport and a few minutes away from Sunrise Beach, considered by many to be one of the finest in Cyprus. A stay at Smartline Protaras will include access to plenty facilities around the grounds as well as in the hotel’s rooms for a comfortable and convenient way to enjoy your visit to this beautiful part of Cyprus. These include a swimming pool with sun loungers and parasols, wi-fi access, gym, tennis court as well as a children’s pool and play area. Rooms have attractive interiors and are equipped with essential amenities. 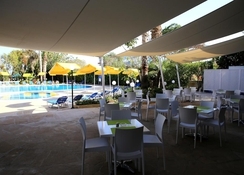 There is a fine on-site restaurant serving international and local cuisine along with a poolside Tavern which has a broad selection of drinks available. 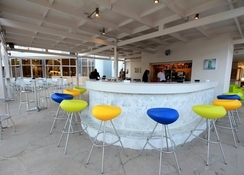 Around Protaras you’ll find restaurants catering to tastes around the world and bars which overlook the sea. Family-friendly activities in Protaras include the Ocean Aquarium and Magic Dancing Waters Live Show. 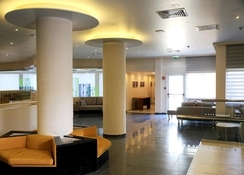 You will find Smartline Protaras just a 45-minute drive from Larnaca International Airport. Guests will be able to reach Sunrise Beach, one of the best in Cyprus via a short five-minute drive. The centre of Protaras, where you will find most of the available retail and food shopping as well as cash points, souvenir shops and other convenience is just 2km from the hotel, the local bus which takes you there is a swift 200-metre walk from the hotel. Popular attraction Magic Dancing Waters Live Show is only a mile south whilst the Ocean Aquarium is only 3 miles north. An abundance of restaurants and bars can be easily walked to from the hotel. The elegantly designed rooms of the Smartline Protaras are a pleasure to spend your stay in, no matter how that may be. The careful balancing of colour schemes with well-appointed furniture and essential amenities including en-suite bathroom, T.V., mini-fridge, safe deposit boxes ensures an enjoyable and relaxing stay. The hotel has 130 rooms with views over the Mediterranean Sea available from the private balconies in most of them. The main restaurant, Pavillion, serves both international and local cuisine throughout the day, catering for breakfast and lunch as a buffet set and evening meals served a la carte. The Windmill Tavern is the place to go in Smartline Protaras for a refreshing drink in the lush surroundings of the garden by the pool. It would be a shame to miss out on some of the dining experiences to be had in Protaras. Check out Di Capilla and Italian restaurant located right on the coast, where you can dine whilst looking out over the stunning Mediterranean sea. You’ll also find excellent an steakhouse, Chinese and the freshest seafood. Bars are also easy to come by, YannaMarie and Flamingo Beach bar are both top spots to enjoy a cocktail and sea views at the same time. 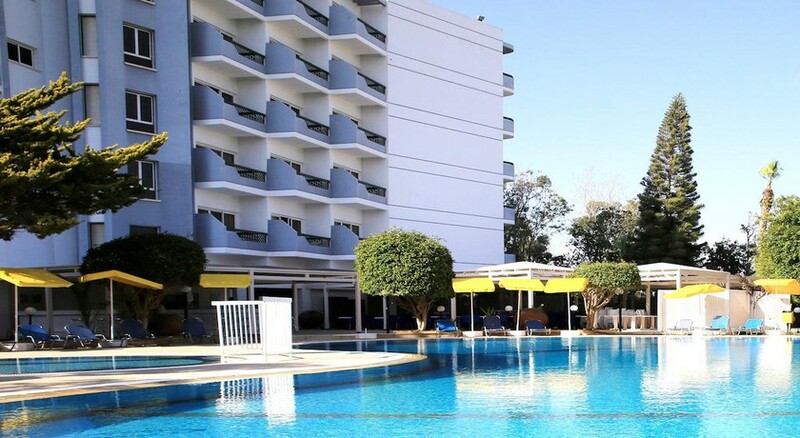 A stay at Smartline Protaras provides guests with activities such as squash, tennis and volleyball. Of course, you’ll find a swimming pool with a sun terrace that has loungers and parasols. 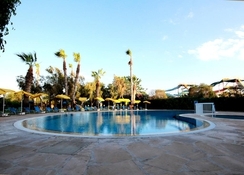 There is also a separate pool for children who will also enjoy the children’s play area. You may just want de-stress by taking a relaxing massage or sauna or keep up your exercise regime at the on-site gym. Smartline Protaras also has a daily entertainment programme running which puts on excellent family-friendly entertainment experiences including live music several times a week. Forget about your worries at Sunrise Beach, considered one of the finest in Cyprus. Take the short car journey down to Cape Greco National Forest where you can walk or cycle through this lush and verdant national forest during the day and head to the unique exploits of the Magic Dancing Waters Show in the evening.